As a matter of fact, all these options are available within Cronycle! 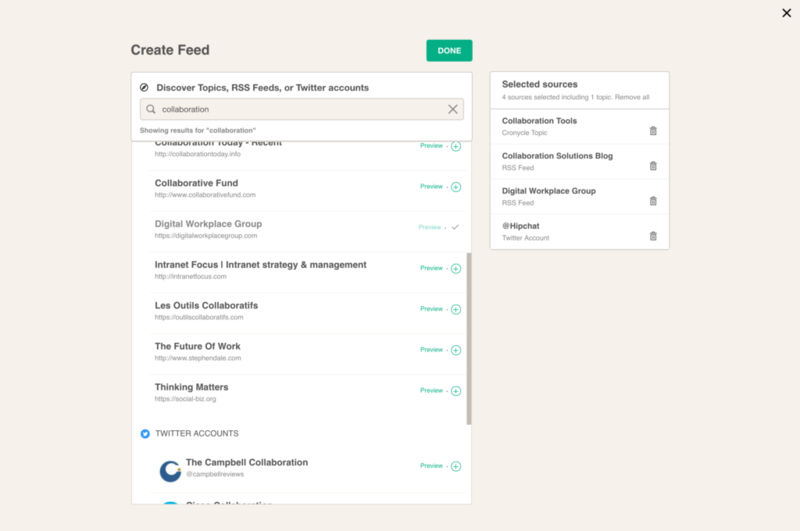 Receive newsletter subscriptions, and follow Curated Feeds, RSS feeds and Twitter links – all within your feeds (click on Create Feed). Cronycle feeds aggregate content from several sources, combining RSS (a standard for sharing web links), Twitter handles (web links shared on Twitter by these handles) and Cronycle Topics (our own automated curated feeds). This article is about our new tutorial for advanced mode for this aggregation: how to curate from your source library. 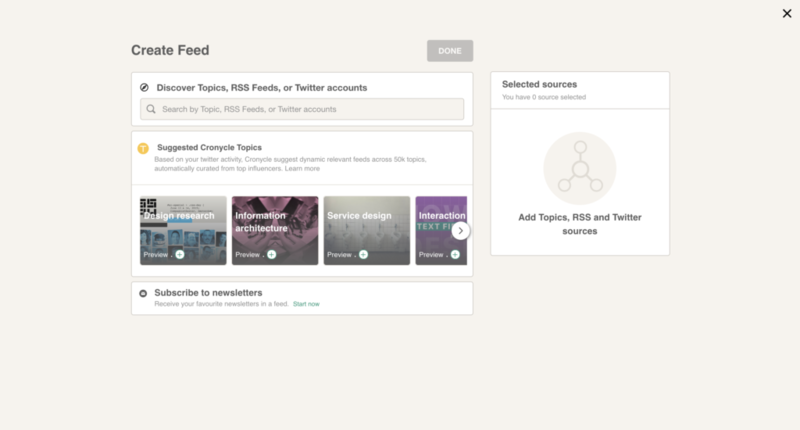 From the Create Feed option in Feeds: easy mode recommended if you are relatively new to Cronycle and to curation. From the library of sources: our advanced mode, described here. 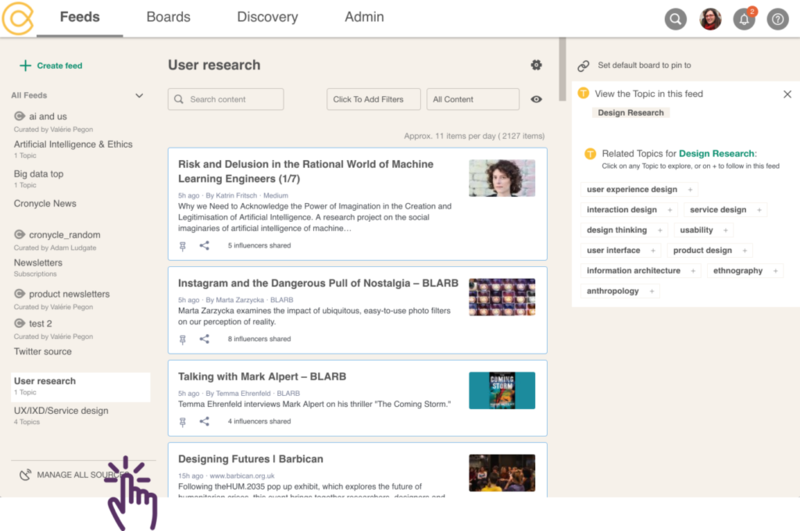 For Cronycle Topics only: search any Topic in the top search bar or on the Discovery page. When should I curate from the source library? 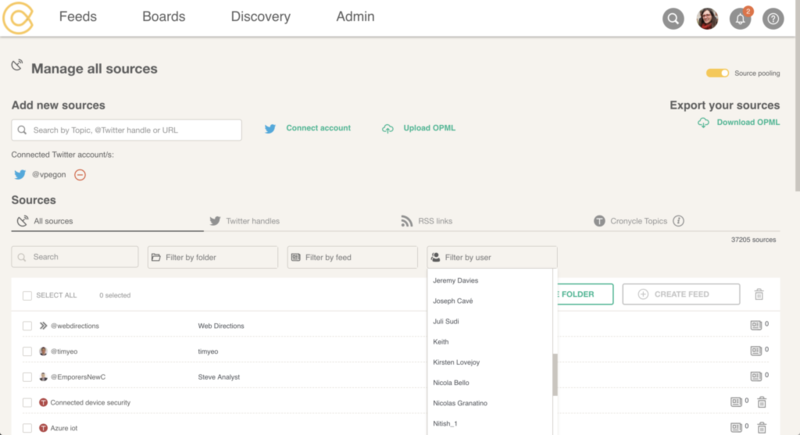 You imported or want to import a large amount of sources, either via an OPML (if you came from another aggregator) or a connected Twitter account. The library is where the results of the import will appear and where you’ll be able to build feeds. 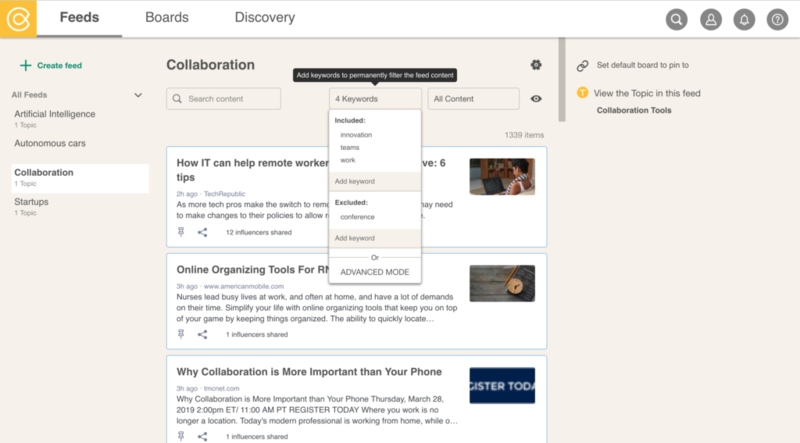 Your team shares sources: read more on how to manage sources collaboratively. What does the source library do? 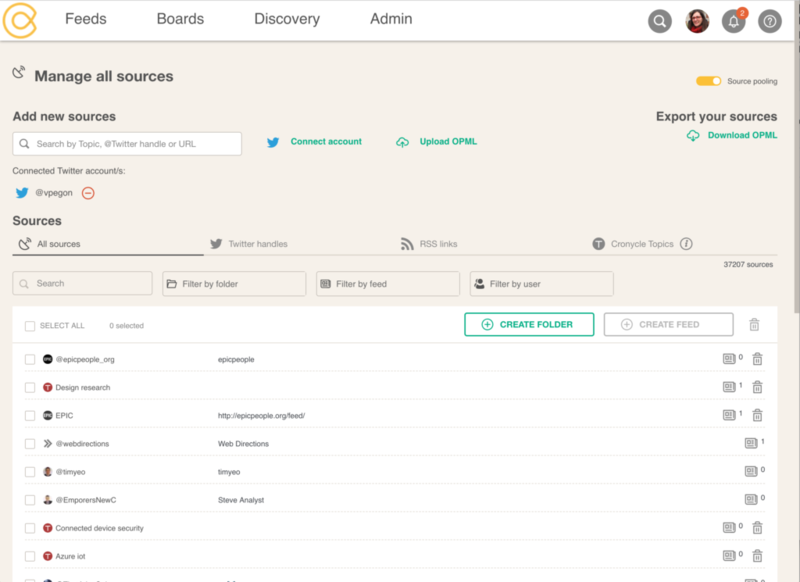 Cronycle’s source library lists all the sources you have added in feeds and imports. It also lists the Cronycle Topics you are currently using. 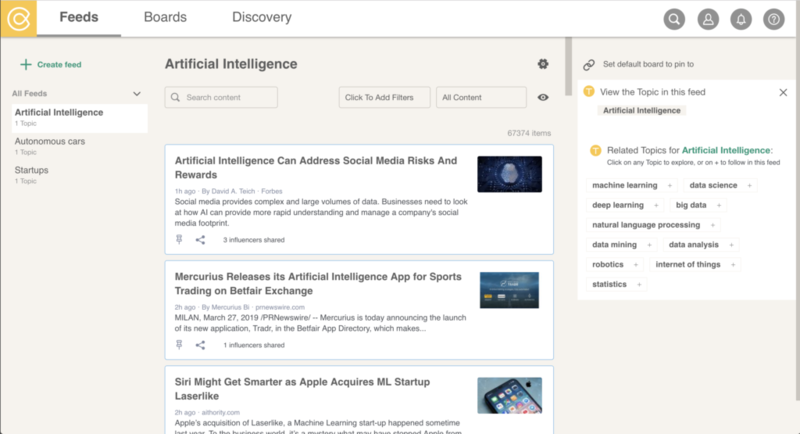 You can add and remove sources, search and filter the listed sources, create feeds to read, and folders to further organize your sources. How to use the source library? Find the sources I am looking for in the library? Add more sources to my library? Create feeds from sources in the library?